Join us for an emergency management evening public presentation, hosted by the City of Normandy Park and the Southside Seattle Chamber of Commerce, on Wednesday, February 6, 2019, 6:30 P.M., in the main auditorium at the Criminal Justice Training Center. Join us and meet other Chamber members for coffee and pastries at the Chamber Office. Join us for our February Lunch & Learn with Davidson & Sons Custom Brokers. They are going to focus on the basics of Importing and will cover what to expect and what documentation will be required. Davidson & Sons custom brokers is a full-service Customs Brokerage with offices in both USA and Canada. They can assist with the importation of goods by all modes of transportation into the USA and Canada. Join us as we actively engage businesses and schools in workforce development preparation so that we can collaborate together to allow opportunities for the students to prepare for their future and the future of our community. Join us at a fun and laid-back Chamber Mixer sponsored hosted by El Dorado West Retirement Community. Please join the ACES Northwest Network for a technology seminar and networking event on the topic of enhancing freight mobility in the Kent Valley and across Washington state through adoption of electric and autonomous vehicle technologies. 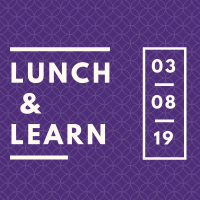 Lunch & Learn: Fidelis, Inc.
Join us on February 8th for a Lunch and Learn with Fidelis, Inc. Fidelis has a Co-Managed IT approach. They bring together the IT, MSP, Structured Cable and Communications. ?Join the DoubleTree Southcenter for a delicious meal and some insight on smoothly planning a successful event! Come learn about the hottest trends in food and beverage, what A/V tools you can use to take your meeting to the next level, and how to negotiate the best deal! Bring your lunch and join us on March 22nd for an event in our Women in Business Program. 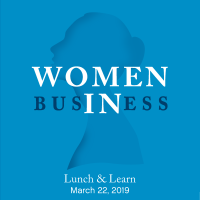 This Lunch Learn will feature a panel of local women leaders who will be sharing some of their successes and challenges as women in our business community. 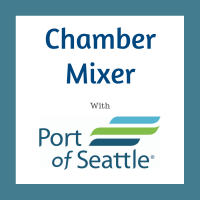 Join the Port of Seattle and other chamber members for our March Mixer at the Aloft Hotel in SeaTac. Come and hear the latest from Jim Peterson, the Port of Seattle’s Senior Manager of Customer Experience and Communications. Jim will talk about the efforts, both seen and unseen, his department is spearheading to make your visit through Sea-Tac Airport a positive, seamless travel experience. Chamber Mixers are on the 4th Wednesday of every month from 4pm-6pm.